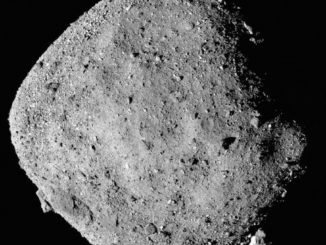 After four weeks of navigating in the vicinity of asteroid Bennu, NASA’s OSIRIS-REx spacecraft fired its thrusters for eight seconds Monday to slip into orbit around the carbon-rich object, making Bennu the smallest planetary body ever orbited by a spacecraft. 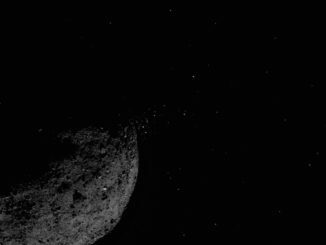 Two NASA spacecraft — the OSIRIS-REx asteroid sample return mission and the New Horizons probe at the edge of the solar system — have captured their first looks at their targets as they approach a pair of primordial relics for the first time. 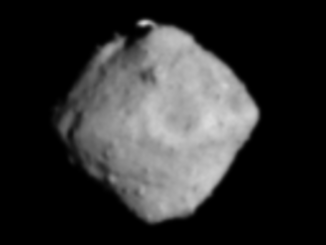 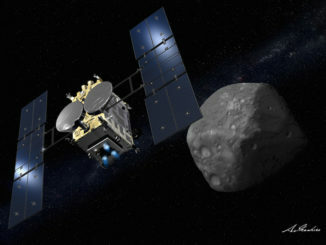 In the final days of a three-and-a-half year pursuit, Japan’s Hayabusa 2 sample return spacecraft is beaming back clearer images of asteroid Ryugu, an unexplored object that scientists say resembles a spinning top or dumpling nearly 180 million miles from Earth. 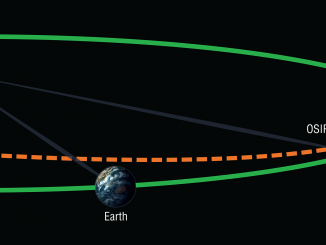 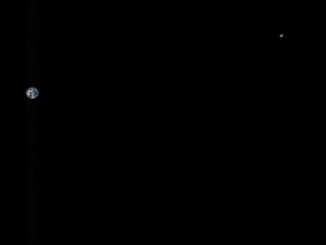 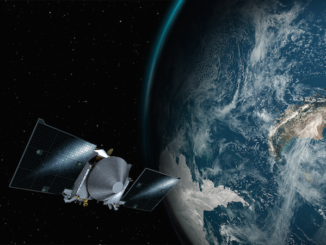 Ten days after a swingby to receive a gravitational boost toward its asteroid target, NASA’s OSIRIS-REx spacecraft turned one of its cameras back toward Earth, resolving its bluish home planet hanging in the void of space accompanied by the moon. 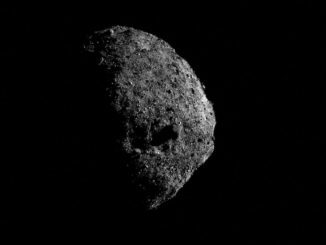 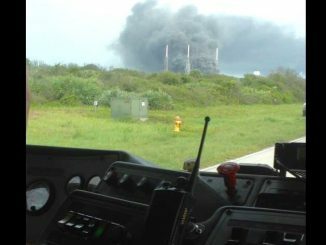 On course to collect specimens from asteroid Bennu after its launch last year, NASA’s OSIRIS-REx spacecraft will search this month for objects locked in orbits near Earth, a bonus science opportunity to locate possible fragments of the primordial building blocks that formed our home planet.